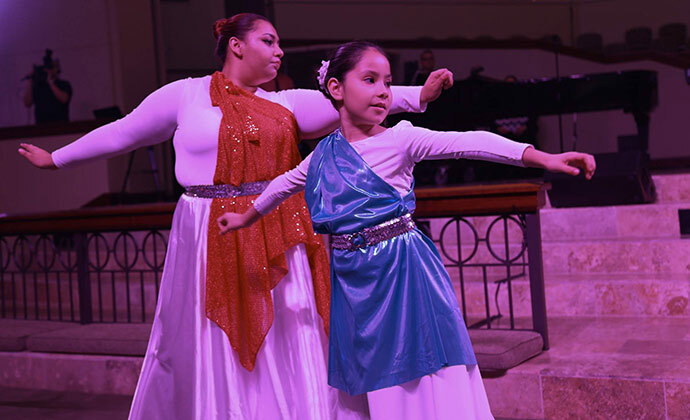 Celebración, the Hispanic Ministries 2018 Texas Annual Conference worship service, was a beautiful evening of joyful worship and teaching. The Rev. Arturo Cadar, Coordinator of Mission Field Development presided over the evening. Bishop Scott Jones drew the evening message from Matthew 12:46-50. “Tonight,” he said, “we will ask the question, ‘Who is my family?’” Jones went on to remind attendees that Jesus continually reached across boundaries of status, race, and even reputation to offer relationship to the men and women of his day. “Over and over Jesus was crossing boundaries to reach out to people who were not normally included in the house of Israel,” the Bishop said. The Bishop then reminded the congregation that Jesus’s command was to go “into all nations.” He further challenged attendees to take the good news of the gospel to a world bound by spiritual chains. "Preaching and teaching are helpful but what is most powerful is for you to give the invitation,” he said. “Point to Jesus and tell the story of how God has changed your heart." After the Bishop’s message, Cadar extended an invitation to the congregation to come to the altar for prayer. The praise team concluded the evening with additional worship. 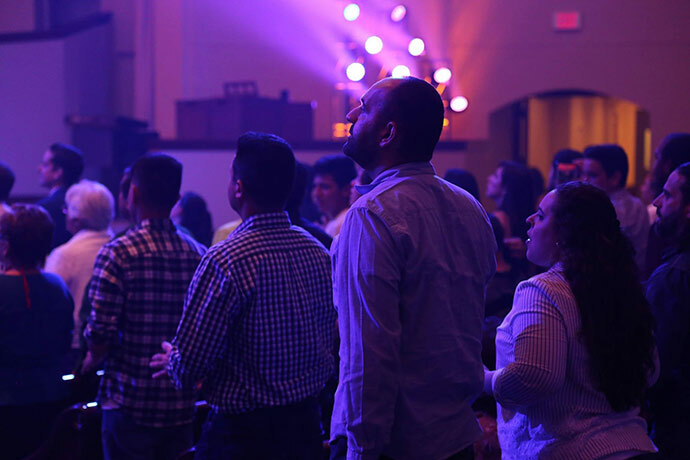 Reflecting on the evening, Cadar said, “The Celebración worship service at Annual Conference was a great way to bring people together to celebrate God’s work with Hispanic Ministries in our Conference. The movement of the Holy Spirit was strong among those who, regardless of race, ethnicity, and language, worshiped the Lord with passion in a vibrant, high-energy environment. Bishop Jones’ message “¿Quién es mi familia?” (Who is my family?) served also to remind us that we are called to extend our faith family by making disciples of all nations for the transformation of the world. “Dios es Bueno, todo el tiempo,” God is good, all the time! To view the evening in its entirety, visit the Conference Facebook page.